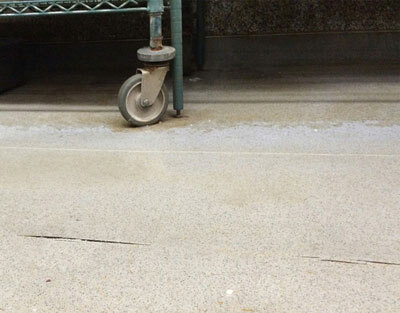 Sheet Floors such as rubber flooring, PVC, and vinyl with heat-welded seams should never be used in a food-prep area. Rubber Flooring is a non-porous and very durable—if it could become part of the substrate, it would make an excellent floor. However, rubber does not adhere to concrete. Instead, it’s usually glued to the floor and the seams are heat welded together. The intended outcome is a continuous seamless sheet of rubber over the entire floor. Although this is an excellent concept in theory, it does not work well in practice. 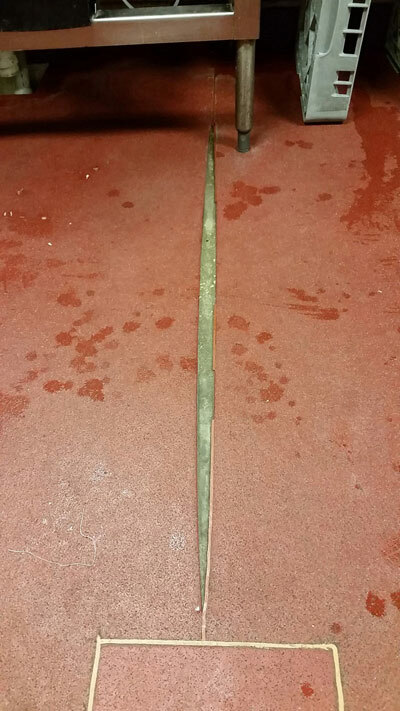 Eventually heavy wear and hot grease, fallen cutlery, and spilled food causes rubber flooring to loosen near drains or seams, ultimately coming apart. Also, when a rubber floor is not installed with perfect precision, mechanical protrusions and seams not properly welded create a non-porous continuous floor with holes in it—not ideal. Water and food particles get under the rubber flooring and begin to break up the adhesive. 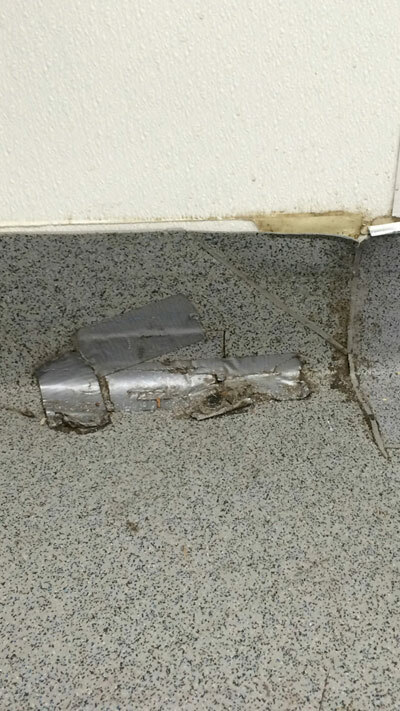 This adhesive is usually plastic glue similar to PVC which, once exposed to water and grease, starts to lose its grip on the floor. This creates an ideal breeding ground for bacteria—the dark, moist area between the rubber flooring and the concrete is exactly what bacteria needs to grow and spread. Because it can’t fully escape from this space, your bacteria problem will just get worse over time, and just gets worse, often squirting out from under the rubber under heavy foot traffic or when heavy objects are dropped on it - much like what happens to a ketchup packet when it gets stepped on. After a long shift, your staff will appreciate that your kitchen floors are low maintenance and easy to clean—it’s a big reason restaurants with Everlast® Flooring have noticeable increases in staff morale and efficiency as well as lower labor costs. Kitchens are hard-hitting environments—we get it. 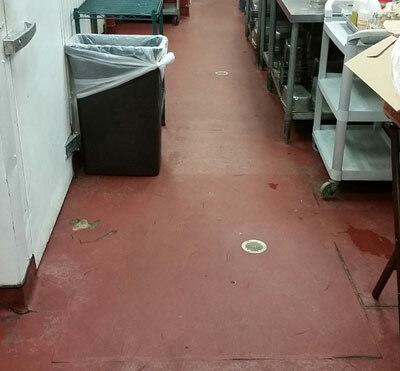 Our commercial kitchen flooring is quickly sanitized while always adhering to high standards including all state and local health regulations and codes. Everlast® Epoxy flooring won’t succumb to stress cracks and, because it naturally inhibits bacterial growth, you’ll curb the potential for foul floor odors that come with. And because these floors are durable and easy to clean and boast excellent chemical resistance, they can withstand grease, many acids, oil, alkali, sugar, and harsh detergents and degreasers common in the kitchen.